Director – Stephen Amis, Screenplay – Stephen Amis, Serge Donardo & David Richardson, Based on the Novella 50,000 Years to Tomorrow by J.J. Solomon, Producers – Stephen Amis & Lynne Wilson, Photography – Davi Richardson, Music – Ricky Edwards, Visual Effects Supervisor – Sheldon Whittaker, Visual Effects – Visual Monkies Studio (Supervisor – Nathan Ngo), Title Sequence – Leigh Ashley Ryan, Makeup Effects – Nik Doring & Marie Kelly, Production Design – Ruth Lyon. Production Company – Lightning Entertainment/Revolution Pictures/Kikgroup/The Acme Film Company. It is 1944. A troupe of five American soldiers have been sent into the Australian bush on a mission to retrieve two escaped black pumas that were mascots of the U.S. armed services. As they trek into a remote area, the real purpose of the mission is revealed – they are under orders from the OSS and have been required to cart with them a device that is a time machine. As this is activated, they discover they have been transported 50,000 years into the past. They also find that one of the party is a Nazi traitor who has come back with the intent of stealing a UFO that crashed in the past and using it to alter history by bringing it back into the service of Germany. 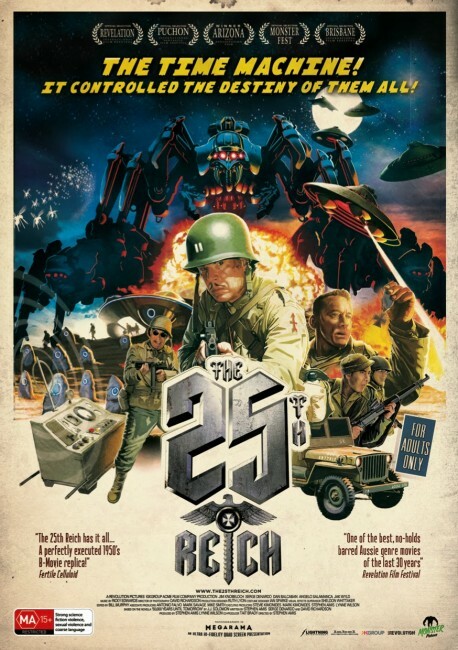 The 25th Reich was the fourth feature film of Australian director Stephen Amis who had previously made See Jack Run (1991), The Alive Tribe (1997), The Real Thing (2002) and subsequent to this The BBQ (2018), all indie films and non-genre, none having had particularly high profiles. Amis shot The 25th Reich on a low-budget with 98% of the action taking place outdoors on location in a state park in Victoria. 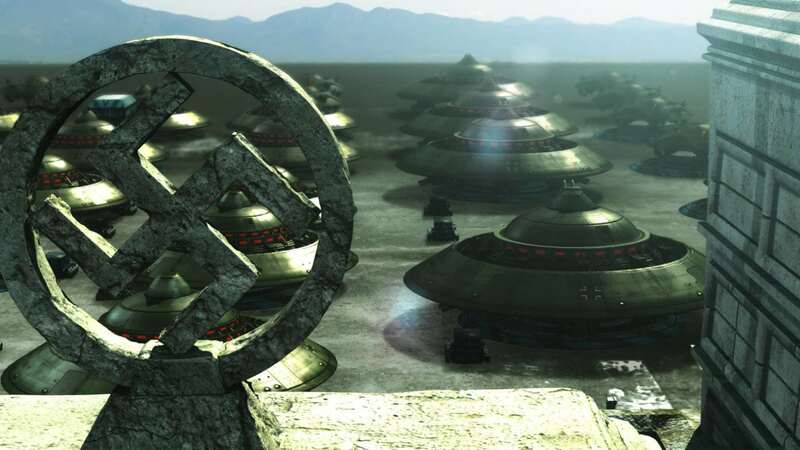 The 25th Reich came out in a year that featured several other films – Iron Sky (2012) and Nazis at the Center of the Earth (2012) – about Nazis existing into the present-day and crucially having mastered flying saucers. What The 25th Reich does very well is catch the spirit of a 1940s GI movie – I was constantly being reminded of the witty little B-budget gem Zone Troopers (1986), which has a number of similarities. Each of the characters here is defined usually in terms of an ethnic caricature – the Italian, the Jewish kid, the Redneck. The dialogue is particularly on the ball with a great feel for the colloquialisms of the era. Sometimes this falls a bit too broadly in the mouths of the actors – who are almost all Australians affecting American accents – but for the most part, the characters are delivered with a great deal of nuance. We even surprisingly get scenes debating religion vs atheism. The film receives considerable conceptual constraint from the fact that Stephen Amis has chosen to make the entirety of it on location in the Australian backcountry. Thus anything that takes place outside of the bush locations is written out, which adds some limits to it as a story. The time travel is cheaply demonstrated by no more than some optical effects followed by the characters waking up in the same area of bush but with the jeep gone. The idea of a Nazi-dominated alternate future is certainly intriguing but this consists of no more than another time leap where we are told that we are in the future (still represented by the same area of backcountry bush), followed by effects scenes of the robot spider and then the final scenes of the launch of the fleet of Nazi UFOs from an airfield. What the alternate history buff in one would have loved would have been some depiction of how history had changed to arrive at that point. The area the film excels is in the provision of some outstanding low-budget effects. Certainly, these are kept sparing but the UFO and the scene with the fleet taking off into space at the end are all good, while there are some fine mechanical spider scenes in the latter sections. 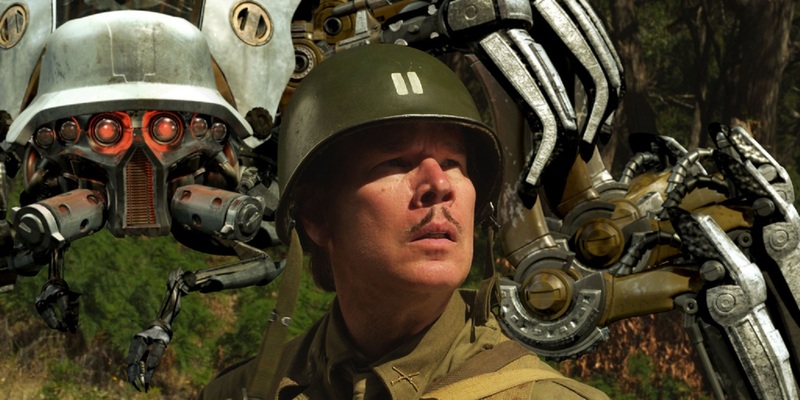 The film’s one moment of sheer dementia is the scene near the end where a Nazi mechanical spider cyborg – one of the GIs who has been instantly converted into a machine (we know he is a Nazi because the spider comes with a German stahlheim helmet built into its head) pins down commanding officer Jim Knobeloch and anally probes him with one of its mechanical arms.